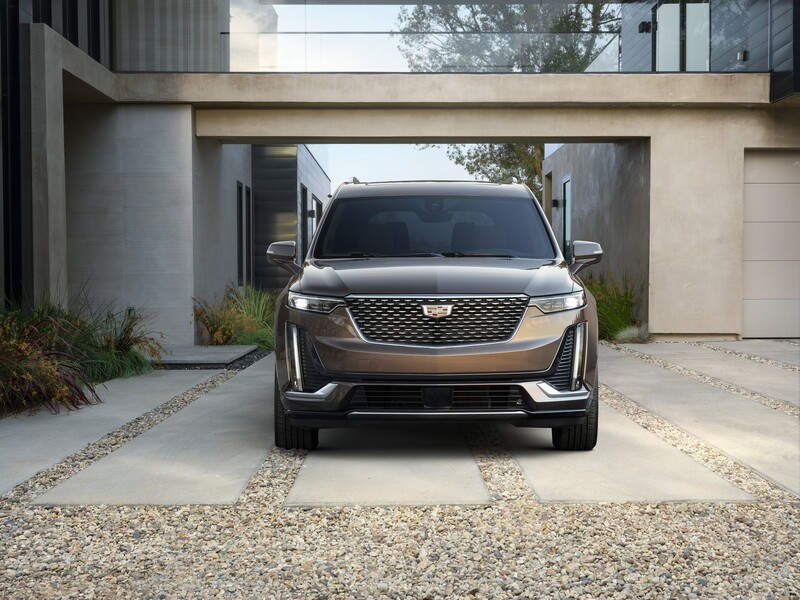 Cadillac is filling a significant gap in their sedan-focused lineup by unveiling the 2020 XT6. Making its world premiere at the North American International Auto Show, the XT6 is a three row crossover that will slot in between the smaller XT5 and larger Escalade. It sports a unique design as it wears an Escala-inspired grille which is flanked by standard LED headlights. Designers also installed in vertical LED daytime running lights and numerous “bright galvano” accents. Moving further back, the crossover has slightly generic styling which is broken up by a large greenhouse. While the design isn’t too adventurous, the XT6 has strong shoulder lines, a sloping roof and 20-inch alloy wheels. Buyers will also find a tailgate-mounted spoiler, a dual exhaust system and distinctive taillights. Drivers looking for something more aggressive can opt for the XT6 Sport which features a black mesh grille, sportier bumpers and clear taillights. The model also has a unique exhaust and available 21-inch wheels. Cadillac didn’t say much about the interior, but it follows in the footsteps of the XT5. This is slightly disappointing, but drivers will find wood or carbon fiber trim as well as an 8-inch touchscreen infotainment system. Of course, the whole point of the XT6 is its standard power-folding third row. Legroom back there is pretty tight at 29.5 inches (75 cm), but that’s slightly more than the Audi Q7 and 1.3 inches (3.3 cm) less than the Infiniti QX60. In terms of practicality, the XT6 offers 12.6 cubic feet (356 liters) of luggage space behind the third row. When the second and third rows are folded down, that number climbs to 78.7 cubic feet (2,228 liters). As expected, the XT6 is powered by a 3.6-liter V6 engine that produces an estimated 310 hp (229 kW / 314 PS) and 271 lb-ft (373 Nm) of torque. It is paired to a nine-speed automatic transmission which sends power to the front wheels. All-wheel drive is standard on the XT6 Sport, but optional on the XT6 Premium Luxury. While most crossover buyers don’t care about weight, the model tips the scales at 4,690 lbs (2,127 kg). It can also tow up to 4,000 lbs (1,814 kg), but this is less than the four-cylinder Audi Q7 which is rated at 4,400 lbs (1,995 kg). Since crossovers are designed primarily as people haulers, the XT6 comes standard with an assortment of safety features. Among the highlights are automatic emergency braking, forward collision alert and park assist. Other items include lane change alert with side blind zone alert and lane keep assist with lane departure warning. Customers can also order adaptive cruise control, automatic parking assist, a head-up display and a night vision system. 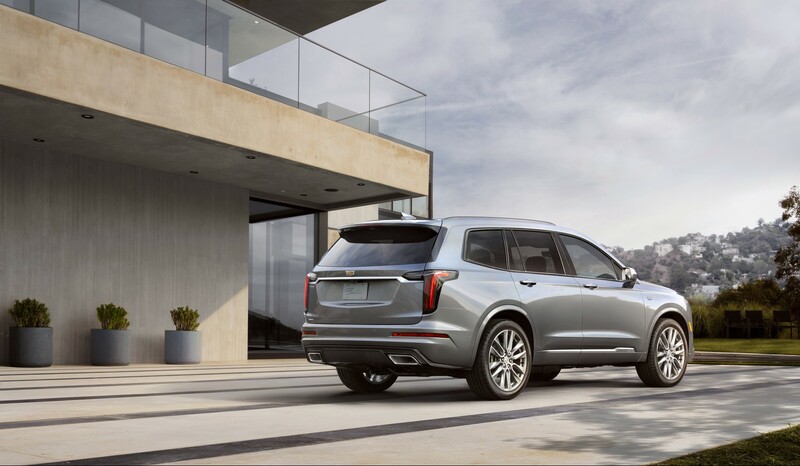 The 2020 Cadillac XT6 will go up for order this spring and pricing will be announced closer to launch.